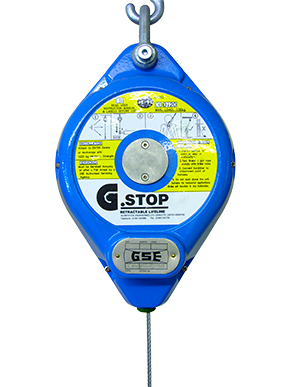 The G.Stop fall arrester is manufactured using precision machined components. The inertia reel’s internal components are manufactured using bronze, stainless steel and aluminium. This ensures complete reliability and high performance even in the harshest of environments making the G.Stop fall arrester the perfect choice of safety equipment even for offshore and mining operations. 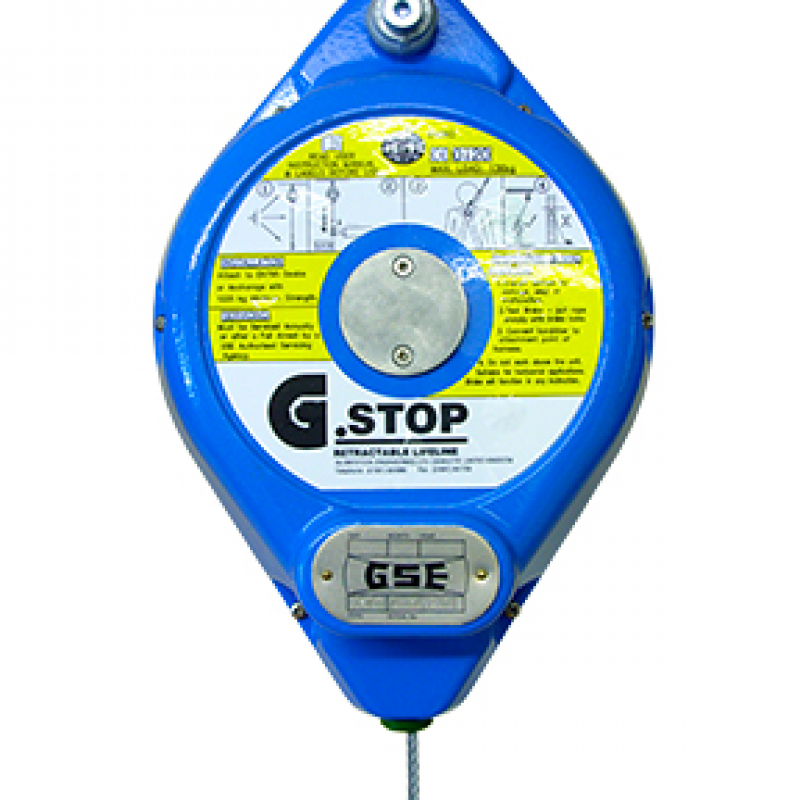 The G.Stop fall arrester offers the user full protection from falling whilst allowing complete mobility when working at height. Should a fall occur, the self-retracting lifeline (SRL) will be pulled out of the block at an accelerating rate and when a cable speed of approximately 1.5/sec is reached the braking system is activated. Once activated, the fall is quickly and smoothly arrested exerting minimal forces upon the user’s body. When the load is released the cable automatically retracts back into the fall arrester.